Sometimes a little self-sacrifice helps to bring the new into the world, and that may certainly be the case today. Duality arises from division, and here separation occurs as the new life emerges for the old. Kawok represents the birth process in all its glory, the emergence of the new hope, new life into the world even through both the ecstatic and the traumatic. Whilst the birth process may be painful, the result is one of the most important, if not the most important, part of life itself. The number two represents the duality of existence. This reproduction cannot happen in unity. Duality, with all its difficulties, is a necessary part of life. Neither one aspect or the other is better than the other, which is what can lead to indecision. Each side is complimentary to the other, the masculine brings balance to the feminine. Today both sides or polarities can be called on to bring the new into the world. This is the day to ask for the new emergence, the new life created by two equal and opposite forces enlivening the world. Nawal Kawok is in some ways a counterpart to the nawal Tijax. Where Tijax has masculine aspects of healing, Kawok has the feminine aspect. Kawok is sometimes referred to as rain or storm. It is this rain that washes away that which has been cut out by Tijax. While most healing roles do not seem to be gender specific, one is. Both women and men may be healers, prayer makers, herbalists and diviners, only women will become midwives. Kawok is the energy of the midwife. Kawok helps to clear the obstructions from the birth process, in some ways it actually represents the birth process. Kawok brings the new into the world. 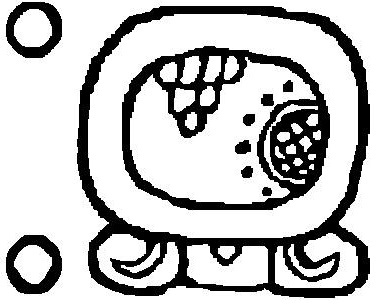 In the Mayan cross, Kawok, the birth process finishes the sequence which starts with Aq’ab’al (conception) and moves through B’atz (gestation.) 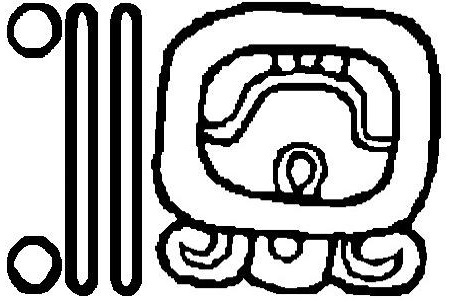 In the sequence of the calendar, Kawok precedes Ajpu. 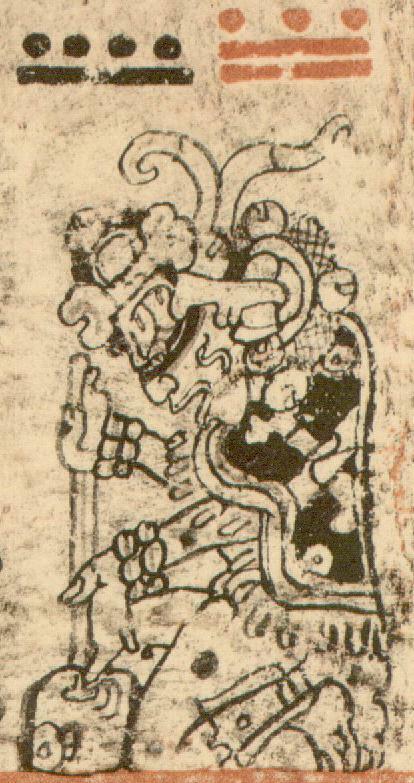 Ajpu represents the resurrection of the maize lord, also the creation of the world. 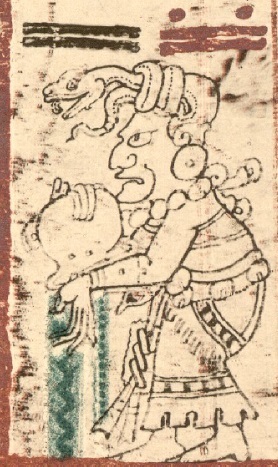 Kawok creates the conditions for that to happen, the rain which brings forth the sprouting of the maize. In its storm aspect, Kawok can be destructive, although it is a destruction which allows a new creation to happen. Kawok energy can give rise to some tempestuous situations, it can be a day which can give people a rough ride, although this may be for the eventual good. It is a day to ask for the gentle rain to bless your crops, and for the harsh rain to stop. It is a day which washes away the old and outworn in life, so that the new growth, life and divinity may emerge. The number 2 is representative of duality, of polarity. Although it is a low number it has surprising strength as it is said to be able to call upon both aspects or polarities of what it is attached to. It is said to be the number of lovers, it signifies relationships and self-sacrifice. Whilst it can lend itself to mediation, seeing both sides of the story, it also can be indecisive. This is a more detailed description of the Trecena than I have made before, with a description of each day within the trecena and how they flow into each other. Let the healing begin! Up until now, the preparations were being made, and now it is time to begin to put your abilities to use. After all, they may be given freely, but there is a point to having them. Tijax brings with it a tenacity, a desire to bring balance to the world. It does so through healing division, sometimes by trimming to create balance, other times by dispatching the disharmonious. Tijax is on a “mission from God” to create a better world, and today this mission begins. We are coming to some interesting points in the calendar, in particular Wajxakib (8) B’atz and Kajib (4) Ajpu. Both are very important days with regards to creation, and 1 Tijax helps to set the scene. It is almost like the first cleansing, the idea or plan to begin cutting away the old growth to allow the new field to be planted. Today is the day to take a fresh look at what needs to be healed or removed in order to bring harmony into your life. It may even require a little outside assistance, whether in the form of encouragement or just advice on where cuts can be made. Today is the beginning of the healing. The nawal Tijax is often thought of as an obsidian blade or knife. How the blade is used depends on the intention of the person wielding it. It can be wielded by a warrior or by a surgeon. These would seem like opposite ends of the spectrum, but where Tijax is concerned the aim is the same – healing. Tijax is the nawal of the holy warrior. 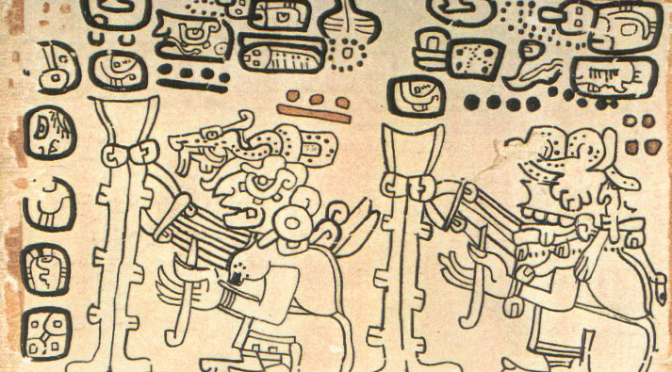 In the Mayan book of creation , the Popol Vuh, the first act of the hero twins was a mission given to them by the Heart of the Sky to rid the world of the false gods Seven Macaw, Zipacna and Earthquake. This is their quest, their crusade, and is represented by Tijax. 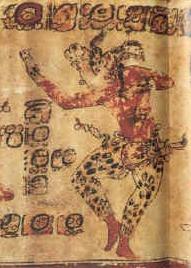 They then sacrifice themselves in the underworld (Kame) and are resurrected with magical abilities (Ix). By destroying the false gods, the twins brought balance to the world, and helped mankind, they brought healing to the world. They cut out that which caused disease, exactly as a surgeon would do. Tijax is celebrated as a day of healers, particularly what could be seen as the masculine aspect of healing. It is a day of crusading, of standing up for what is right. It has a tenacity to it, it is sometimes belligerent, it will not be stopped in its quest. It is the healer who refuses to give up on finding a cure. Tijax gives powers of discernment and refinement. Just as the surgeons scalpel cuts away disease and the warriors blade dispatches the evil, the sculptors chisel creates beauty by remodelling the base material. It is a day of alchemy, both internal and external, turning the ordinary into the divine. The number 1 is representative of the seed, of unity. It represents birth and beginnings. It is a low and odd number, which usually represents something challenging. However, the seed can grow into a mighty tree, it is full of potential. It just needs the correct nutrients and conditions to germinate and develop, just as sometimes we need encouragement to develop our ideas. This should be a very interesting day for anyone involved with ancestral knowledge, as the nawal of the brain combines with the number of the spirit world. If there is a problem in your life that you know one of your ancestors would be able to solve, today is the day to ask for their help, whether they are still in this world or not. No’j is also one of the classic year bearers, or year lords. As a year bearer it is thought to be one of the more beneficial and benign energies. Last year, 2016/7, was the year 4 No’j. The number 13 is the final number on the pyramid. It represents the spirit world. It is said that on Halloween, the veil between the worlds is the thinnest. However within the sacred calendar, this thinning happens every 13 days. This connection with the spirit world creates a powerful day, where both the positive and negative aspects of the nawal it is attached to come through strongly. It is a very good day for activities such as divinations, however, ceremonies on 13 days are generally only carried out by the most experienced Aj Q’ij who understand how to work with that strength of energy. The energy of the day 12 Ajmak may give rise to some form of life review. You may find that your past experiences help you to understand how to bring the sweetness to life today. When the day Ajmak is called during ceremony, it is referred to as the nawal of redemption and it is seen here combined with the number representing all of life’s experiences bundled together. This can be understood as having an energy of both redeeming and asking for redemption for the past in this lifetime. Every day, we hopefully grow a little wiser and understand our less-wise decisions and actions of the past. At the time we made those decisions, we often acted on the best information we had, with our best intentions. However, looking back the result may not have been a choice we would make now. Today is a day about dropping past regrets, and helping others to drop theirs. It is a day to embrace yourself for all you are, and everything that has shaped you throughout your life, a day of acceptance of the human nature of us all. We can use our past experience to understand why others around us may have committed errors, perhaps they are errors we too have committed in our past. Understanding this can help us to forgive them and in turn help us to release any residual burdens we carry. Allow any bitterness about past events to leave so that the sweetness can come in. The number 12 is the penultimate number. In some ways it can be seen as the last Earthly number, the number 13 representing the spirit world. We travelled through the mortal world with 1 through 6, then the other world with 7 through 12. In this way 12 can be seen as a point of bringing all of the experiences into one bundle for presentation to the spirit world as we step into 13. As such, the number 12 brings a wealth of experience into one place, it is rather like writing an autobiography. It is totality, all that is, brought together. The vision given by the nawal Tz’ikin may be extremely strong today, but the high number 11 may lead to a lack of focus. This is a day to see the bigger picture in life. “All that glisters is not gold,” but today the energy of Tz’ikin lead you to being be caught by many “shiny” distractions. These distractions may be new ideas, especially ones which lead to prosperity. Even if they are not of instant interest, they may be something to come back to later on, after all Tz’ikin is a visionary. The energy of Tz’ikin is also extremely sociable, and while this can be very useful, it sometimes leads to a great deal of acquaintances without very much substance within the relationships. As Tz’ikin is known for its vocal ability, this gives rise to a great deal of chatter, although you may find something truly valuable within seemingly light conversation. Once again, the energy of the day suggests that today might be a very interesting day to meet new people who may become an important part of life further on in time. This is a day of great potential, even if that potential is initially more confusing than immediately useful. This is not a day to focus on details, a breadth of vision may lead you to the eventual perfection of your ideas. Nawal Tz’ikin is the nawal of prosperity, which sometimes seems odd to people seeking “higher knowledge”. It is not quite seen the same here. If your family is starving, you are more likely to fall off the good road, perhaps into dishonesty or criminal activity. By asking nawal Tz’ikin for prosperity in your life, you are more likely to be relaxed, to be able to help others and to be more constructive within your community. That is not to say that your own input of hard work will not be necessary, just that it is hard work that will pay off. Just as Tz’ikin can focus, its broad vision can occasionally cause distraction. Sometimes, just when it is heading towards its goal it can be distracted by something “shiny.” This energy gives an ability to create great social networks, but sometimes spends too much time trying to maintain them. The number 11 is a high and odd number. This gives it some rather challenging properties, although it can come good in the end. 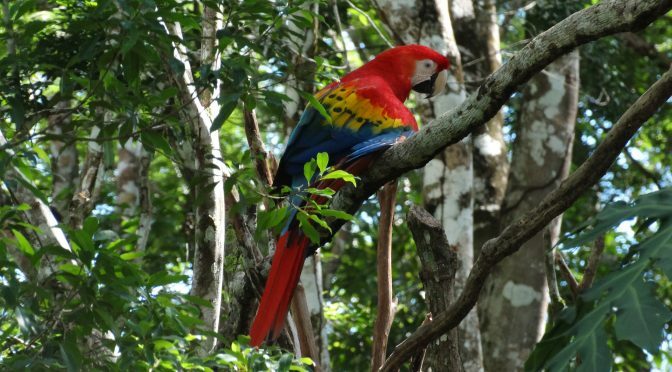 Imagine you visit Ireland and are transfixed by the green of the hills, then you go to Morocco and are awed by the red of the buildings, then you go to the Caribbean and are moved by the turquoise sea. You return home and paint a beautiful picture using those colours. When you were in Ireland you didn’t know you were going to paint that masterpiece, you may not have even known why you were there. This is how 11 works. You are sure you need to be doing something, but unsure why. You are collecting experience through many wanderings. Today sees the nawal representing the Mother Earth combining with the number representing community and co-operation, this is a day to join hands with those around you and show your gratitude to her. Our environment suffers a great deal just through our existence. While many of us care about the planet we live on, we also have to deal with the issues created by those who don’t. However, we are not powerless, especially when we join together. Industrialised societies tend to see the Earth as an inanimate source of material wealth. Non-industrialised societies see her as a living entity with whom we can interact, and she carries the nawal Ix. So, it is on Ix days that prayers are offered at her places, the shrines and altars, her ears, to ask for what we need in our world. When we consider the spirit of Mother Earth, we realise that she just keeps on giving, keeping us alive. We throw trash, we live unsustainably, we keep taking. Ix days give us the opportunity to give back by showing that we care about her. Today in particular is a day to join forces with those close to you to make this happen, it’s a great day for a environmental community project. Perhaps you could show your gratitude by clearing up your village, by repairing some of the imbalances caused by humans. The nawal Ix also helps us understand our potential – the “magic” that flows through us, our ability to engage with that higher side of existence. Showing gratitude to Mother Earth engages us with our true potential, and working with your community today may help remind you of the magical experiences that come through that channel. She will repay your efforts tenfold. 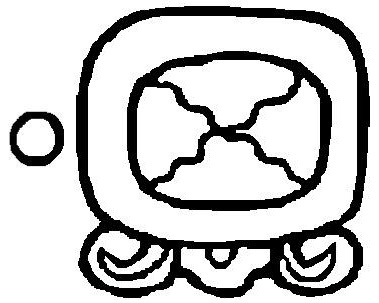 Ix is possibly the most feminine of the nawales. 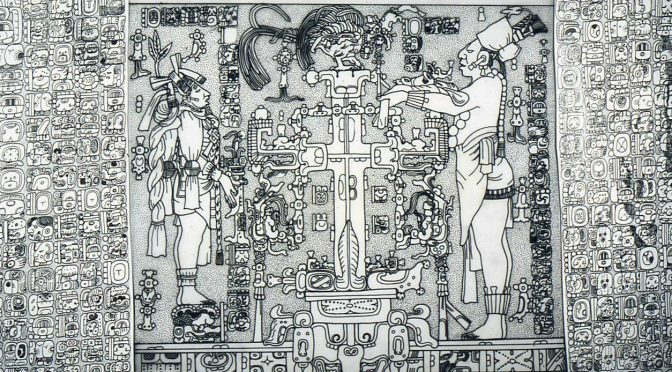 It represents the spirit of Mother Earth and could easily be seen as a Mayan representation of Gaia. 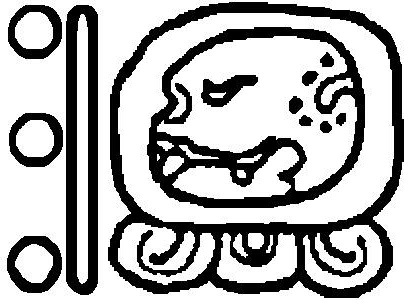 Ix can be seen as a mothering energy, nurturing all things, but this should not be confused with weakness – the animal totem of Ix is the jaguar and it is as the jaguar that Ix is often known. The jaguar is, of course, powerful and stealthy. Ix also embodies these qualities. 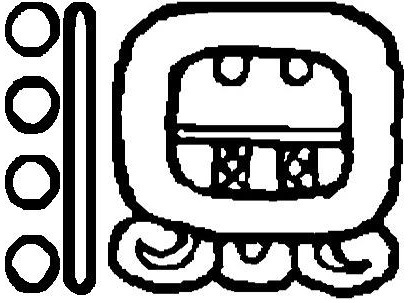 The jaguar is an animal of the night, slipping magically through the darkness, the spots of her back a representation of the milky way. She carries the sun on it’s nightly journey through the underworld. The connection Ix has with the Earth gives it the ability to manifest material wealth. 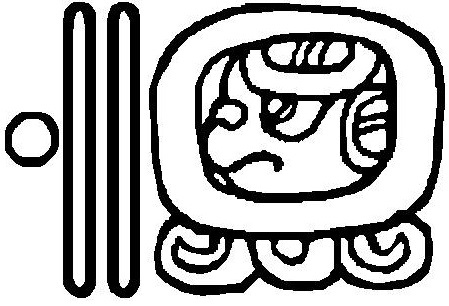 In the Mayan cross astrological configuration, Kame evolves to Ix. 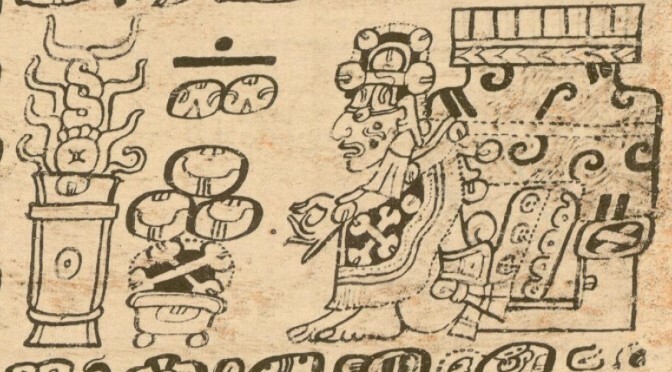 In the Popol Vuh, the sacred book of the Maya, the Hero Twins sacrificed themselves in the underworld (Kame) and then were resurrected as a pair of catfish, later to become travelling magicians (Ix.) They cut the heads off animals, then resurrected them, they even cut off each others heads and brought each other back to life. 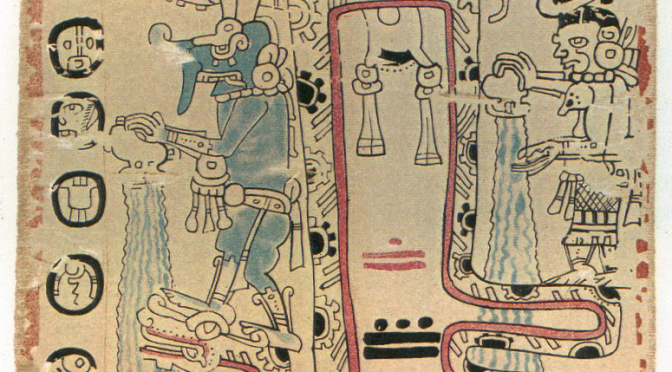 In these scenes they are shown with patches of jaguar skin on their clothing, a symbolism denoting that the wearer is a shaman. 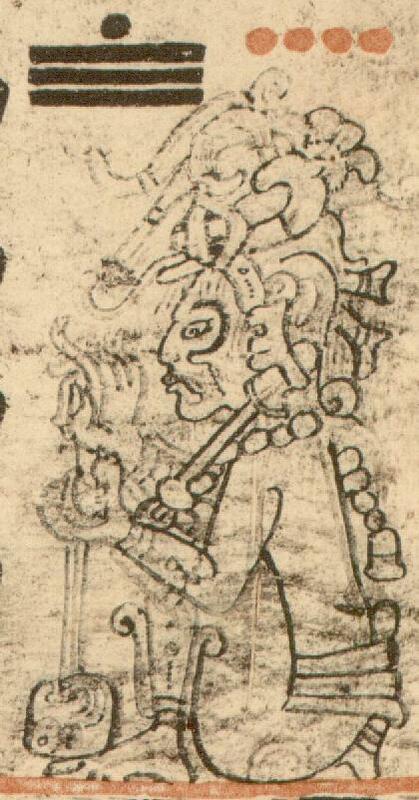 Thus through the symbolic death or sacrifice, the shamanic power emerges. Whilst Ix has the power to engage with the magic of the Earth, it also has a tendency towards illness. This is particularly strong when the vain, ungrateful side of Ix emerges. The magic that runs through this nawal comes so easily, that sometimes it forgets that everything really comes from the Earth and it is to the Earth that we must show our gratitude. 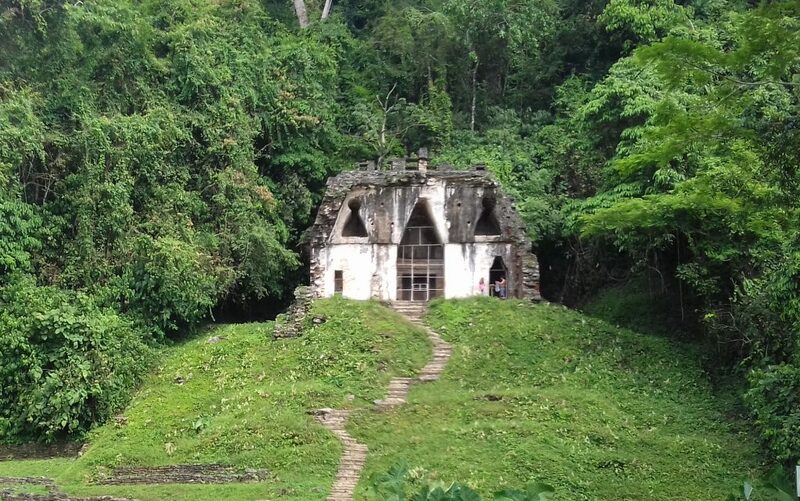 Ix is also the nawal of natural shrines and altars, the places where fire ceremonies are made to give thanks. A spirit of gratitude and humility keeps Ix healthy. 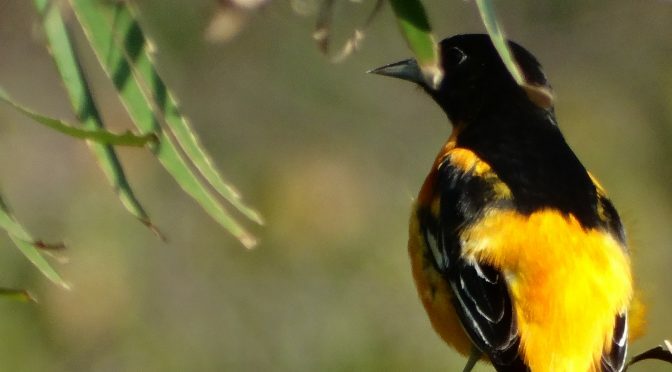 Ix is of course deeply connected with the natural world and it is here that they find their wisdom, power and wealth. This is a day to give thanks, to remember gratitude, and a day to engage with your magic. The number 10 is another number which demonstrates the connection between the sacred calendar and the human body. As five represents one hand, ten represents two hands coming together. This can be seen as the shaking of hands creating agreement between people. Ten is seen as a good number, a number of community and the laws of society, of people acting in harmony with each other. Today we see a combination of masculine energy of Aj with the feminine energy of the number 9 bringing forward some very interesting and beneficial properties. Aj represents a number of properties associated with the masculine energy within traditional societies. These include leadership, strength and courage, the typical qualities of the wise old grandfather. Today these qualities are combined with the number of the divine feminine, and of life itself. The energy of nawal Aj is seen as a benevolent and helpful energy, after all it represents the sustenance of society. When we take that energy in combination with the more feminine compassion and nurture from the number 9, it can be seen that this day has a very pleasant potential. The number 9 also brings an independent streak. It represents the divine feminine and this energy is also strong, after all it is the representation of life itself. With this strength and independence combining with the nawal of the spinal column, this can be seen as a day where the energy supports you to stand up for yourself. The additional feminine properties of the nine soften this beautifully to give a compassionate, yet self assured energy. It is a day to nurture the leader within. This is a day to look to the female leaders within your community, the mothers and the grandmothers, for their support and guidance. It is a day to engage both compassion and authority in leadership. The nawal Aj is related to many things which generally revolve around leadership on an earthly level. It is sometimes known as the cornstalk, sometimes the staff of life. It represents the spinal column within the body, that which allows us to stand tall, proud and brave. As the cornstalk, it has its roots in the Earth, and its head in the sky. As we are the people of maize, if we wish to lead in a just manner, we should cultivate our connection with the Heart of the Sky and the Heart of the Earth. 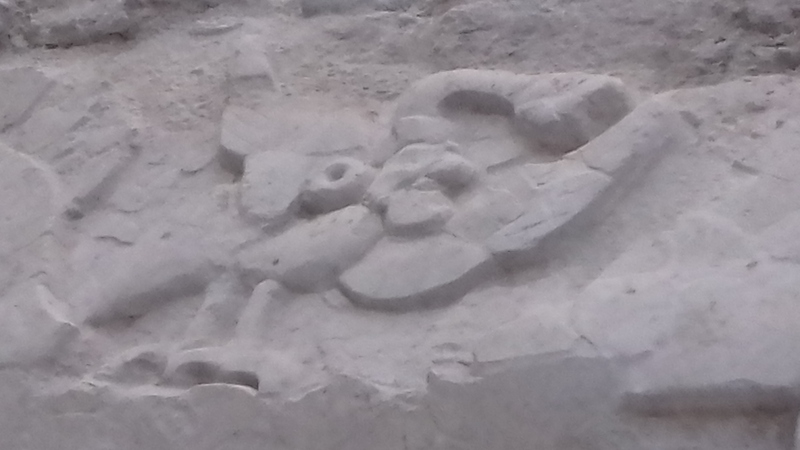 This is a picture of the carving at the top of one of my favourite Mayan temples, the Temple of the Foliated Cross on the site of Palenque (Bàakʼ) in Chiapas, Mexico. 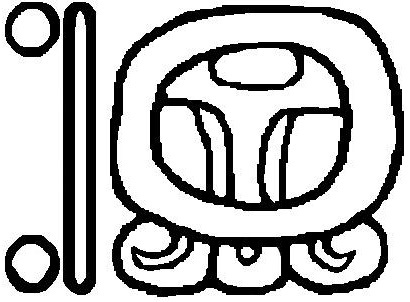 At the top of the tablet you see a bird, which represents the Heart of the Sky, the face with the large rectangular (crossed) eyes at the base of the cross represents the Heart of the Earth. 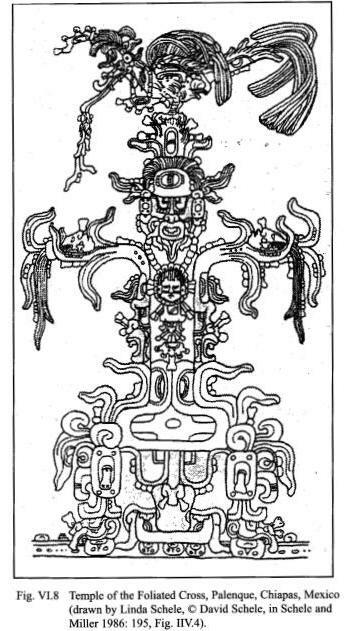 The foliated cross is a stylised maize plant with the heads of humans emerging. This is Aj bringing life to the world. It is the central pillar, that which supports life. 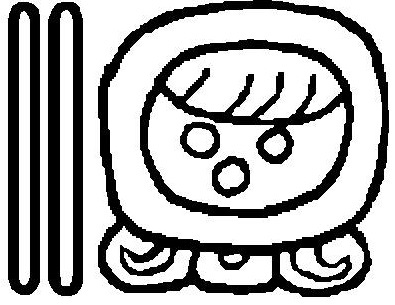 It is represented by the staffs carried by the elders of Mayan communities to this day. Aj is an authority, it is gentle, yet noble. It works quietly for the community it leads. It does not seek the limelight. This is a day that seeks sustenance for its people, that keeps everything in its rightful place. It is a day where we ask for the courage and bravery to stand up straight and tall, to do the right thing. The number nine is very special indeed. It is the number of lunations in the human gestation period and in the sacred calendar. The sacred calendar is known as a calendar of life, and it is women that give life. As such the number nine is seen as the number of life and the number of the divine feminine. It gives all that it is attached to a strong feminine presence and is a day on which women may wish to give thanks for their gifts. E’ days are usually considered fortunate, especially when travel is involved and today it is combined with the number of wholeness. This could be a day where physical travel and life path become one. This is the day of the sacred journey, the day of the pilgrimage. E’ is empowered by the strength, wisdom, spirit and abundance from the four directions in both the masculine and feminine aspects. It contains both the beginning and the end of the journey, representing the constant cycling of the path. Today should be an excellent day to start a physical journey of special significance, the day of the ceremonial journey. It is a day to give thanks for all the experiences of your journey that have helped to enrich and inspire your mind, body and soul. 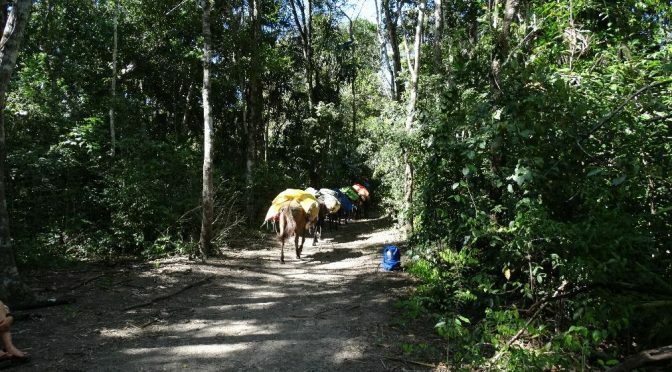 It is also a day on which ceremonies are made to ask for the path ahead to be cleared from obstructions, to bring the smooth road for our journeys. In this way the days carrying the number 8 bridge the final energy of the 7 and the initialising energy of the 1, bringing together both past and future journeys. It is from your journey that you derive your wisdom and your story, and it is these things that you can pass on to the next generation to help them along their life path. Today is a celebration of all we have learned in life. The energy of the nawal B’atz bestows so much creative energy, sometimes it can be difficult to know where to start. It brings the ability to weave concepts together, and when combined with the number 7 these concepts could be from many different sources. It is as if the whole spectrum of colourful threads is at your disposal and you can see the beauty of each colour. The question will be which colour to choose. With B’atz representing the master artisan, it is unlikely that you would make the wrong choice. B’atz will help you to bring our the exquisite in your work, so it is time to choose which of these colours or concepts you will use to finish your creation. Whether you are literally creating art, or apply the idea of weaving as a metaphor for life, today would seem to be a day to make some final choices about what you wish to weave into your creation. The day 7 B’atz is a great day to complete creative projects. B’atz is the nawal of artisans and of weavers, but this is not just creation and weaving on the Earthly level. B’atz weaves the threads of time together to create reality. 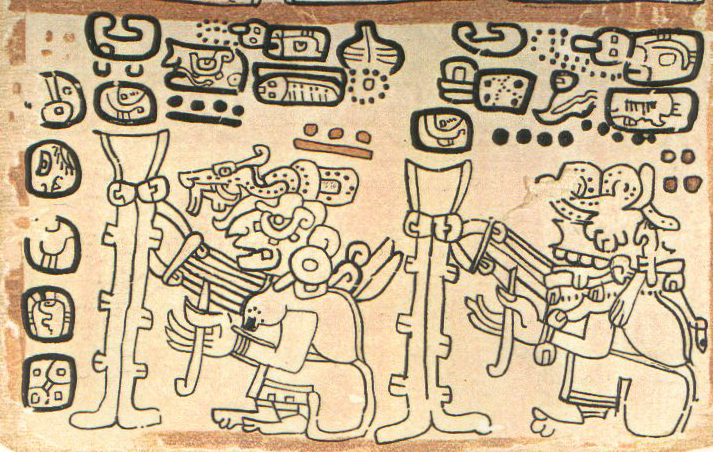 B’atz is the nawal of the sacred calendar, which could be considered to be the fabric created from these individual threads of time. If B’atz is clever enough to weave time into order, then of course it is clever enough to create more down to Earth trinkets. B’atz is the master artisan, creating whatever it chooses, at will. It is just as comfortable painting, as it is playing music or writing. The arts come naturally to this nawal. However, this can lead to issues when B’atz has to deal with those less talented than itself. This can lead to a certain arrogance around those who fail to achieve their standard of excellence. Their talent draws attention, which is something B’atz craves. It is the nawal of the born entertainer, who can sing, dance and play all at once. This nawal is the life and soul of the party, it also makes excellent teachers, who hold the attention of students through entertaining them. It is a particularly fun loving nawal that feeds on the adoration of the crowd that it pleases. It is a day to create, especially within the fields of the arts. It is also a day to weave your reality the way you see fit. Where Aq’ab’al was the conception, B’atz is the gestation. Now is the time to incorporate what you wish into the pattern before it is birthed. The sequence of numbers as they appear with each appearance of a nawal. Here we see that the sequence begins with 1 and ends with 7, giving 7 as a number of finality. The number seven is the mid-point of the range of numbers. It is known as a number of death and endings, which would seem strange as it is only half way through. 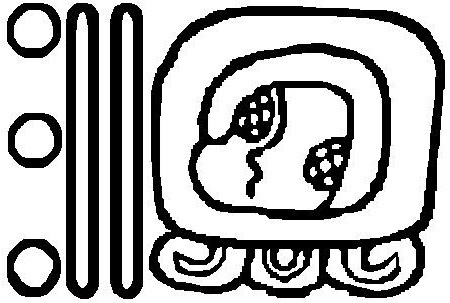 It is another representation of the change of state of the soul, showing half of the journey (1-6) in the mortal world and half (8-13) in the otherworld. 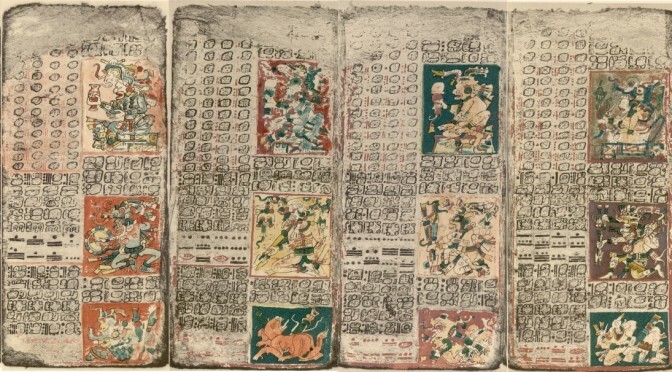 The numbers of the days as they appear through the trecena. 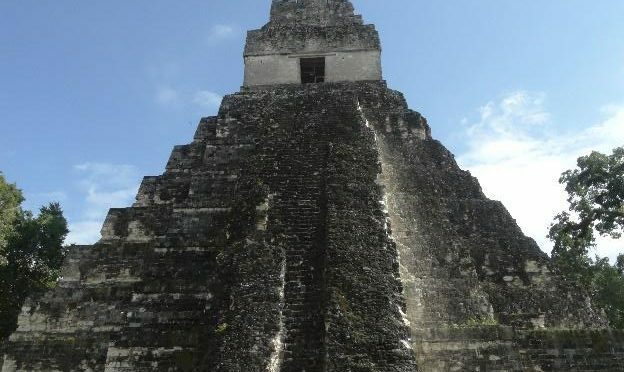 Here they can also be set out as a pyramid, reaching the peak is also the end of a journey. If we imagine the numbers 1 through 13 as a pyramid, the number seven would be at the top. Seven is the number of balance, it gives the ability to weigh up situations and see all points of view. While this may be very noble, it may lead to indecision.